Puppies are so cute on little boy outfits! 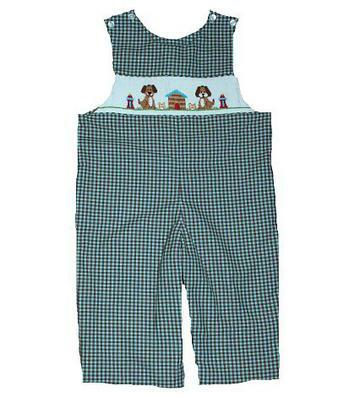 The brown and turquoise mini check long jon jon has two handsmocked puppies with fire hydrants and a dog house on the chest. There is two buttons on each shoulder to get on/off easily and snaps on the inside of the legs to accomodate diaper changes easily. 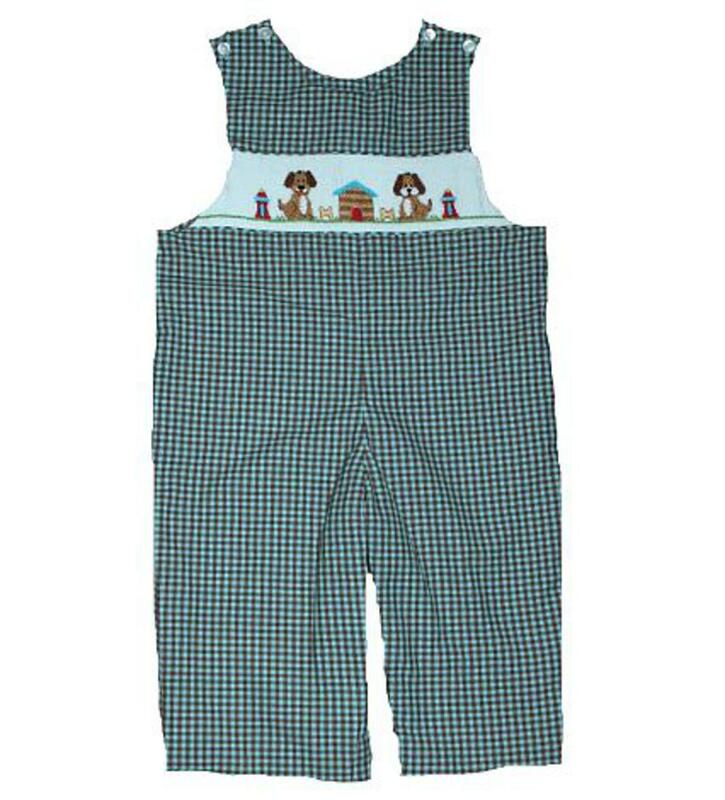 This adorable outfit is 100% cotton and would pair perfectly with a turtle neck.